View More In Commercial Food Storage - Page 6. Carlisle san tulip deli crock. Beautiful swirl pattern and high gloss finish. 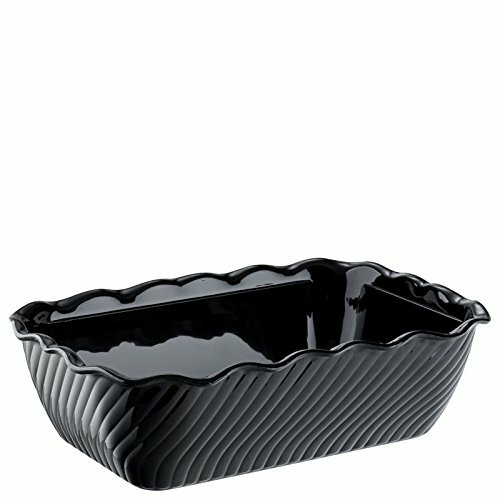 Durable SAN material is resistant to food acids and oils; dishwasher safe. Crocks nest for easy storage. Safe for use in temperatures from 0 to 180 degrees F. BPA free. Black color. Measures 10-3/8-inches length by 6-3/4-inches width by 3-3/16-inches height. Capacity: 5 lbs. Made in USA.